I think to make an accurate KI3T replica you need the GT speedometer. I clould be wrong but I think when they converted the GT's to GT500KR's they didn't think to swap out the speedometers. Correct. KITT (TV show version) used a GT 6-gauge cluster with mycolor set to blue. Also, the only changes in the interior to reflect it was a KR were the seats, and the dash trim. In the GT500, the dash is leather trimmed, but that wasn't added. To really make your KI3T replica 100% accurate you have to start off with a 05-09 mustang V6, as the model used to build the cars from both the pilot movie and the series were the V6 mustang outfitted with, ford racing supension, ford racing KR exhaust, shelby super snake 20" alcoa wheel, KR hood, and gt500 body kit, with gt500 kr interior. I think there was a total of 7 cars, 4 V6's, 1 GT, 1GT with a supercharger and 1 body of the car for the green screen. All had the GT/V6 dash but they had the GT500 Seats. I think I seen one of the cars had all black seats. If you look at the Press photos of Justin infront of the car on a dark road, It still has the GT Bullit rims on, Must of been waiting for the Supersnake rims to come in. It was cool seeing the screen used cars at the KRF3. Richard's car was great!!! I only forgot to look under the car to see if it still had the KR cover on it. Richard was nice enough to open the hood of the car, his car is a V6 and it had fake hoodpins. Also his car was used when Torres took KITT's A.I. out of the dash. I found tamatt27's video on Youtube of his iPad installation. Hmmm... I really wish they'd come out with a KITT display app for it. I'm actually considering doing it later on, possibly replacing my car computer that's installed now, except I don't really want to loose the head unit. But still, REALLY cool!! krkitt1 wrote: I think there was a total of 7 cars, 4 V6's, 1 GT, 1GT with a supercharger and 1 body of the car for the green screen. All had the GT/V6 dash but they had the GT500 Seats. I think I seen one of the cars had all black seats. If you look at the Press photos of Justin infront of the car on a dark road, It still has the GT Bullit rims on, Must of been waiting for the Supersnake rims to come in. It was cool seeing the screen used cars at the KRF3. Richard's car was great!!! I only forgot to look under the car to see if it still had the KR cover on it. Richard was nice enough to open the hood of the car, his car is a V6 and it had fake hoodpins. Also his car was used when Torres took KITT's A.I. out of the dash. 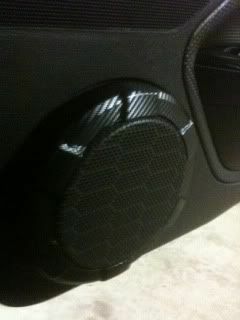 Ok, so I decided to try to do some carbon fiber wrapping. I've been looking into this and I may start doing this on the side and see where it leads. 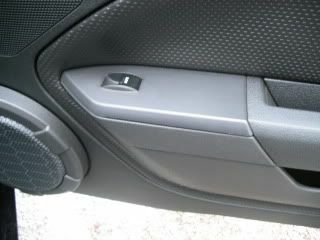 I did my window switch covers and will do the speaker trim and inside handles. I will post some pictures on wednesday. 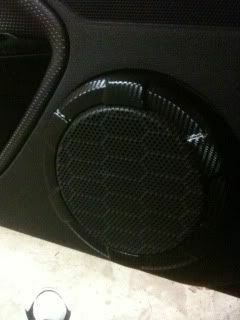 krkitt1 wrote: Ok, so I decided to try to do some carbon fiber wrapping. I've been looking into this and I may start doing this on the side and see where it leads. 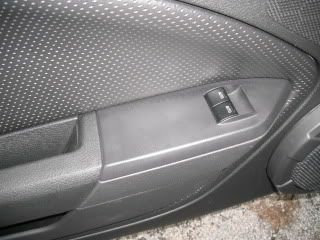 I did my window switch covers and will do the speaker trim and inside handles. I will post some pictures on wednesday. look much more nicer by far where didi you get them? Same parts, I just did the carbon fiber wrap on them.I did it myself..
My question to anybody that has an answer, if I were to make the attack mode KITT from the series. Would I be able to make it buying parts from mustang aftermarket places or the dealer? Knightphoenix1 wrote: My question to anybody that has an answer, if I were to make the attack mode KITT from the series. Would I be able to make it buying parts from mustang aftermarket places or the dealer? So you want to make this? Well I was goinga build the Attack KITT from the Pilot,most the front stuff would be from Shelby or Ford like the hood and grill but the rear stuff like the spoilers and body kit would have to be custom made. The short answer to your question is no you can't. The pieces were custom made for the series. Sorry. taoworm2323 I saw lots of your stuff of youtube, I wanted to ask you, would you be able to help me if I wanted to get the interactive voice orb, could I change the voice to kitt 2000's voice? My KITT is going threw some changes. I will post more details soon. Next year at the Knight Rider Festival, it will be hard to tell which car was used in the show. Thats how close to screen used my car will be. Plus it will have a few extras.... Also, check out my website.... Welcometothekittcave.weebly.com , There you will find pictures and storys of me building the car. 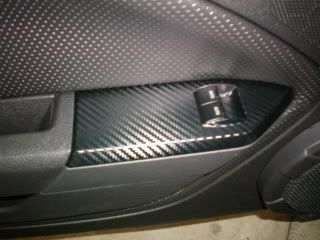 I'm adding to the site everyweek and I will be posting on services I do with Carbon Fiber Wrapping and soon parts for Mustangs KITTs. Also, I have narrowed it down to two places for my new scanner......... I can't wait til next year!! 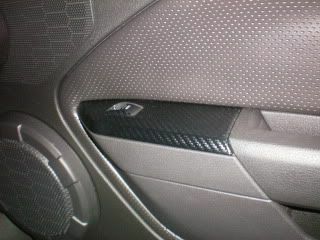 New dash panels are on the way.....New ORB is on the way........ Still looking for a New Scanner....... May go with Jason's until I get the real thing.....Did my first carshow and came in 2nd place. I got KITT's new body!!!!! Warning: Video contains me squealing in delight. NIce!! So will it be ready for Vegas 2012?? Yes it will finished hopefully in the next month or so. I have already started work on him and will no doubt be calling you sometime soon for pointers on something. taoworm2323 wrote: I got KITT's new body!!!! !